Hollie, Casey and I arrived in Tulum. 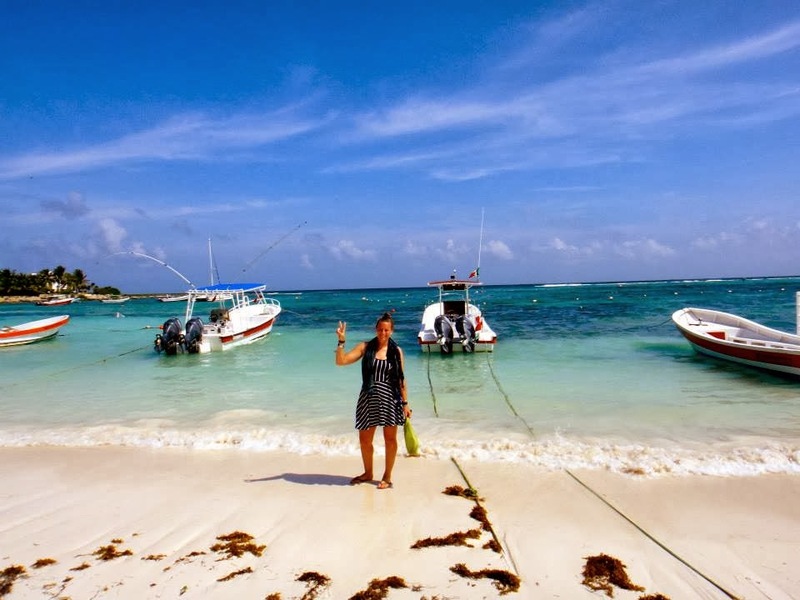 Hollie and I went straight to Akumal beach where I heard you can swim with sea turtles. After we found out we had to pay a lot of money to swim with the sea turtles (learning later this was a tourist trick) we took a colectivo back to Hostel Sheck. Glad we went though... the beach was so Mexico! In the lobby of Hostel Sheck we met Tarley (British) and a couple of us headed to the beach for the afternoon. We took a taxi as Tulum town is a good distance from the beach. 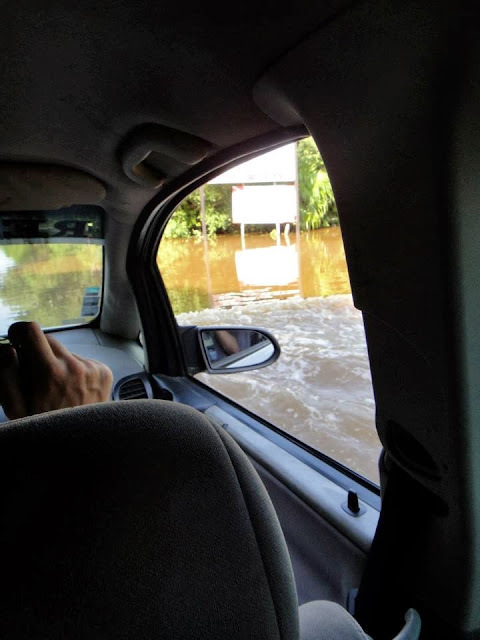 The massive rain storm earlier in the week left the road out to the beach flooded, our taxi just powered through. We ended up staying past sunset- my fingers were pruned by the time we headed back to the hostel.